Will 30 Degree Washing Really Save The Planet? Are you trying to save the environment by washing your clothes at 30 degrees? If you’re following conventional wisdom you may not be achieving the results you’re after. 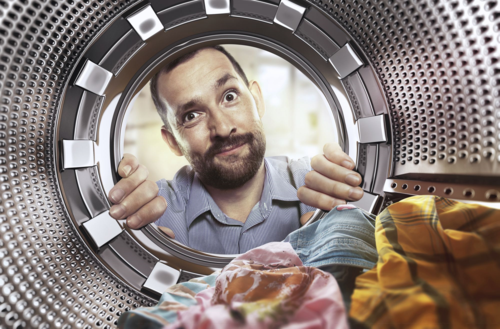 The science behind how to wash our clothes effectively may differ from the advice given by the washing detergent brands. Most tend to say that washing your clothes at 30 degrees achieves the same results as washing at much hotter temperatures. You might also hope that turning down the temperature of your washing machine is helping the environment. A few years ago The American Thoracic Society conference advised allergy sufferers to use 60 degree washes. Their concern was that the household dust mites and other allergens would not be effectively removed at temperatures lower than 60 degrees. Washing detergent uses enzymes that are designed to improve washing at 30 and 40 degrees but only kills between 6.2% and 6.5% of house dust mites and doesn’t always remove other allergens either. The research study also noted the effects of washing bed linen (cotton sheets) that were contaminated in homes with pets. Pet dander is composed of microscopic flecks of skin that can, through the air, enter the mucous membranes in the lungs. 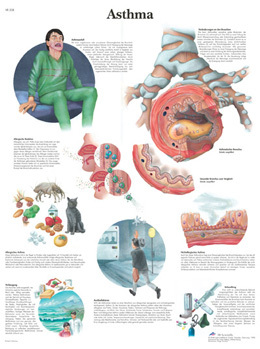 For some people sensitive to these allergens it can cause mild to severe allergic reactions. It was shown that washing the linen at 30 and 40 degrees resulted in more than 40% of the dander remaining. It wasn’t until the water temperature was increased to 60% that only 12% dander remained. Dust mites are all around us and can be found in bedding, carpets, soft furnishings and clothes. Almost invisible to the human eye, they measure about a quarter of a millimetre long and live off the dead skin that we humans regularly shed. 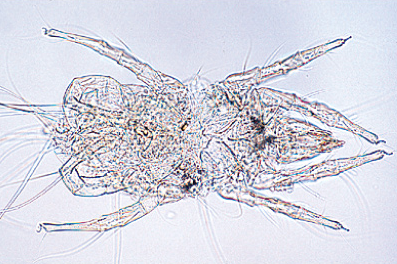 Dust mites thrive in humid conditions and their droppings, that survive long after the dust mite dies, can cause allergic rhinitis, asthma and eczema. In order to ensure that we’re not just rinsing away their droppings and leaving the mites behind, we need to wash items (particularly bed linen and towels) at 60 degrees plus to ensure the mites are killed. The savings in energy may come at the expense of efficient cleaning. However, when it comes to washing your hands, the opposite can be said to be true. Amanda R. Carrico, Research Assistant Professor at the Vanderbilt Institute for Energy and Environment in Tennessee, teamed up with colleagues with specialities in climate change research, research analysis and psychology, to suvey 510 American adults about their hand washing behaviors and perceptions. The study found that “70% of respondents said they believe that using hot water is more effective than warm, room temperature, or cold water, despite a lack of evidence back that up.” It seems, where hand washing is concerned, we believe that washing our hands in hot water is better than at cooler temperatures. The science, backed by the Centers for Disease Control and Prevention and the World Health Organisation, says that using soap and water and scrubbing hands vigorously for 20 seconds works well at a variety of cool and warm temperatures. The trick is to wash your hands well and wash them often. Todd Sack, a Florida physician with the Council for Healthy Floridians of the Florida Medical Association, says “You don’t need hot water, you need soap, water and friction.” In initiatives he has helped to monitor, a decision by one county health department in Pensacola, Florida, to turn off the hot water heaters in it’s 5 clinics has helped to make savings during a 2 year period. “They are saving 2,500 dollars a year per clinic now, which they use to buy recycled paper, a Prius and other environmental projects,” Sack said. Are you surprised to learn about the effectiveness of these washing temperatures?